Incredible transformation and kitchen update. We stayed within the existing footprint, but we took every opportunity to modernize and utilize every inch of the space. 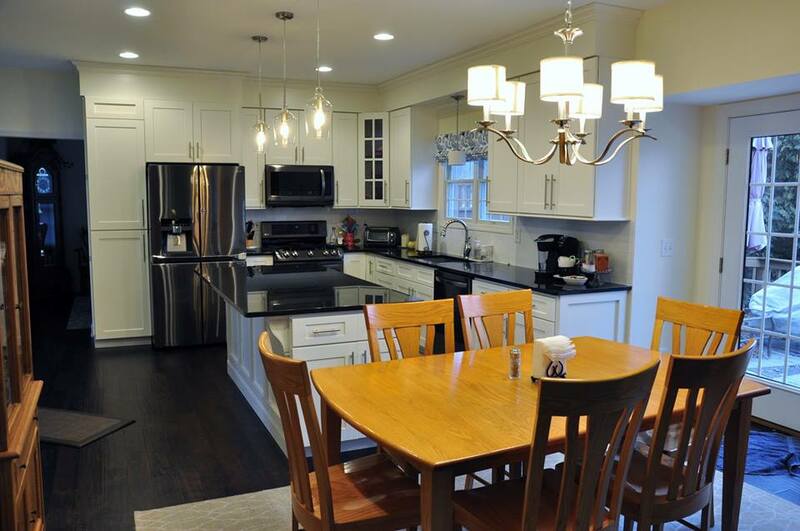 Shaker White cabinets, Black Granite countertops, and Walnut Hardwood floors!